Anger is an acceptable feeling and functional response to desire to change or do something in the present. Yet sometimes we can feel overwhelmed by our angry feelings and it becomes a struggle to deal with our own anger. We may find it difficult to name an origin or cause for our anger. We may not see how it came to be nor how to manage what is going on for us. In these cases therapy can help explore what is going on for you. Authentic anger results when your boundaries are jeopardised in some way or if your needs are not met and comes from a place of wanting to get something to change. It can be problem solving and a ‘vehicle for change’, i.e. a healthy way to get things done. It may also be a very appropriate response to a current situation. Anger is also a primary emotion and a survival tool, it can help get things done. In therapy together we can explore your anger when it is no longer expressed in a healthy way and may have evolved into aggressive ways of being. 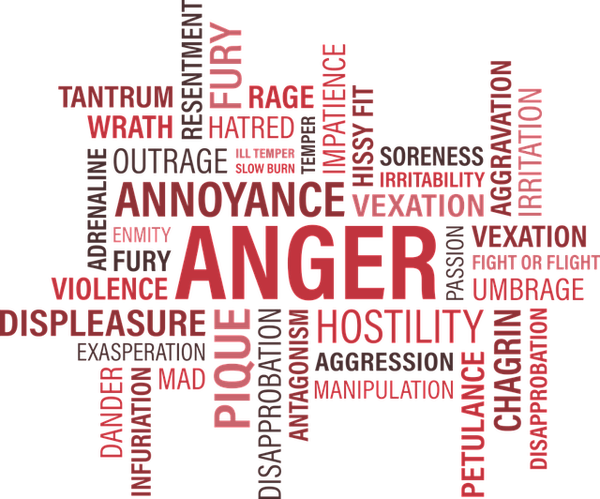 Together we can help you to understand how and why you express anger in the way that you do. With increased self-awareness about your own anger, we can then continue to work through those feelings. On your journey we can explore what it is you may want to change and how to do it. This may be to develop healthier coping mechanisms for expressing your anger and to develop more constructive ways of getting your needs met. © 2019 Southdowns Psychotherapy. All rights reserved.